We cannot keep all our beauty and makeup essentials in our bags. That would make our bags just too heavy. That is why it is a smart move to keep some essentials which you almost always need. Most of us just have tissue papers in our cars but this just means we aren’t utilizing our cars fully. Buy a small, heat resistant box, and put some makeup essentials in it. You just can’t keep it lying around because you don’t want sunlight messing with your products. The number of times we forget to apply a sunblock is too damn high. Sunblock is not something you are allowed to forget. That is why it is a good idea to keep a travel size sunblock in your car. A good idea is to buy a translucent powder with a high SPF. You can apply it over your makeup easily, so in a way, it is better than your conventional sunblock. You can also keep a traditional sunblock to apply on your legs neck, and arms. 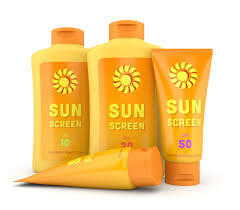 Sunblock is particularly important if you live in a sunny climate and do not want to get tanned. Our faces tend to get greasy in the middle of the day during summers. This makes us look worn out and unpresentable. A quick fix? Just keep oil absorbing sheets in your car. 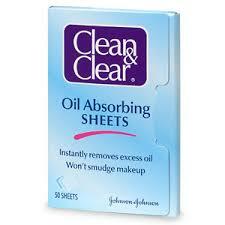 Oil blotting sheets absorbs all the oil on your face in a matter of minutes. You can also dab your blotting sheet with translucent powder before blotting your face to maximize the oil absorbing effect. How many times has it happened that you realize your hair is pretty greasy after stepping out of your home? The feeling of greasy hair can be a put-off, especially if you are going somewhere important. 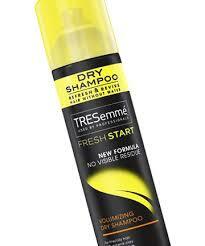 Thankfully, dry shampoos are easily available in the market now. Simply sprinkle some dry shampoo on your hair and brush or comb it. It will soak up all the grease and make your hair look fresh and neat. Dry shampoos are also great for giving some volume to your hair. This is because grease and oil weigh your hair down. When you use a dry shampoo on your hair, it soaks up all the oil, resulting in voluminous hair. No one likes chapped lips. Your lips need a little moisture and hydration to look soft. Even your lipstick won’t go on smoothly if your lips are not properly hydrated. Lip balm is a makeup essential that you must keep in your car. They have collagen infused water now! 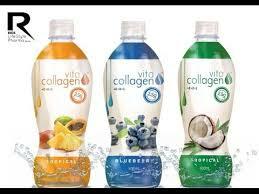 In fact, some collagen waters out there also have probiotics and hyaluronic acids. These are great for your skin as they improve your skin tone and elasticity. This is like a spa treatment, only easier. You can buy these infusions in packet form and store them in our car. What could be more refreshing than an uplifting facial spray during a traffic jam? Facial sprays give you a cooling feeling and refresh your skin. They also make your skin dewy and soft. Invest in a good facial spray, and give your face a good spray on the go to give it all the vital nutrients it needs to look its best! 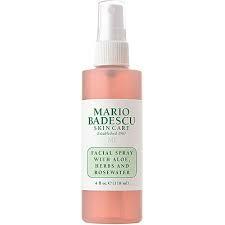 A facial spray is definitely a car makeup essential! Has it ever happened with you that you step out of your home, check your reflection in a mirror and notice that your hair is pretty frizzy? This has happened with all of us. Thankfully, there is a simple solution. 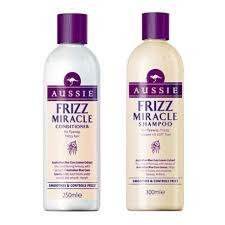 Just keep an anti-frizz spray in your car. These sprays will take care of the frizz and make your hair smooth. This is a must have on hot days. Keep a nice smelling deodorant with you all the time. Keep a travel size one in a box in your car. You don’t want it to get heated at all. You must keep hair supplies like hair pins, hair bands, and hair ties in your car. You never know when you might need any of them. Keep a travel size cheek and lip palette in your car at all times. 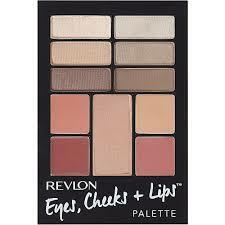 If the palette seems a little too big, keep a cheek and lip tint or a cheek and lip stain. Keep a neutral color so you can use it whenever you want, regardless of the time and event. Always keep a hair brush in your car. Buy a really small one especially for your car. This will ensure that your hair is always presentable, no matter what. It is a good idea to keep makeup removing wipes in your car. Sometimes we make impromptu plans to head to a friend’s or relative house for a stay over. During times like these, you can’t rely on the other person to have beauty supplies ready for you. Besides, it may seem awkward to ask sometimes. And it is not a good idea to sleep with your makeup on as it can clog your pores and lead to breakouts. So, your best bet is to keep makeup removing wipes in your car. All these may seem like a lot of car beauty essentials but you don’t have to store all of them in your car. Pick the ones you need and buy the travel size of each. Store your essentials in a small, heat proof box in your car. I am emphasizing on heat proof because sun light can mess up with your products and make them potentially hazardous. We don’t want them of course. 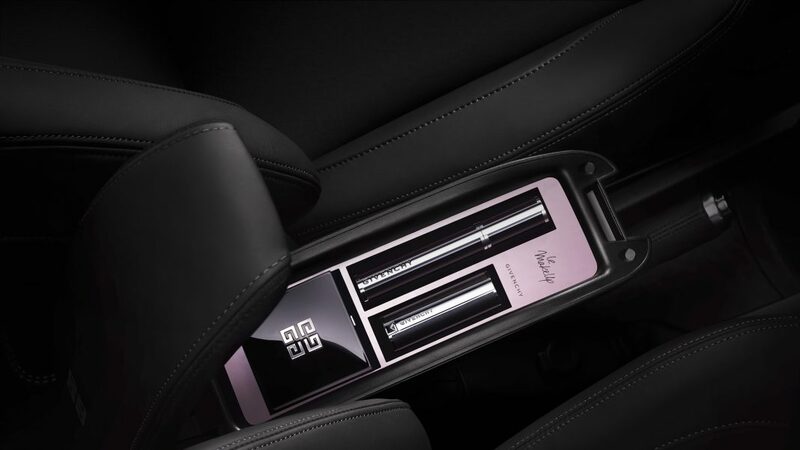 That is why it is advised to store your beauty essentials in a small box and keep them in a cool place in your car. A good idea is to place it under your car seat. Which makeup essentials do you keep in your car? Let us know in the comments below!